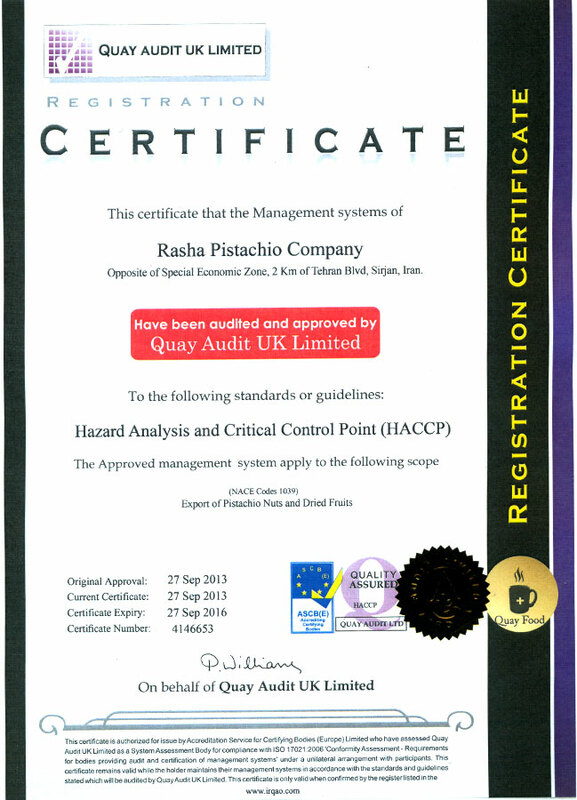 Products - Rasha Pistachio Co. The delicious Pistachio Nuts. This is the nuts can be described as delicious and time consuming, but if you have the patience the effort is well worth it. Pistachios are full of energy and bursting with flavors. Where do they come from? The world's biggest pistachio producer is Iran. They say money does not grow on trees, but this tasty cash crop comes pretty close. 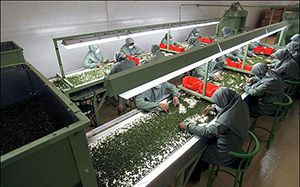 Over two million people work in pistachio business in Iran, many of them in the plantations. The autumn harvest produces 200,000-300,000 tons every year. The Pistachio grows as a soft nut inside a hard shell, when they are on trees they look like grapes. The nut can be eaten raw and its felt to be delicious, however they do not travel very well which is why the most of pistachios you eat in Europe are dried. 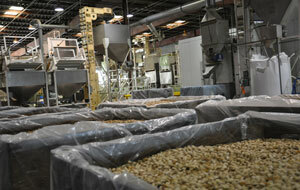 Once the raw pistachios are reached the production facilities they need to be separated from the husks. 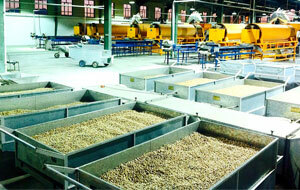 These Machines can sort around 80 tons of pistachios. First the pistachios are on through grinders to break the external husks. This is then shaken off to separate how chaff from nuts themselves.The pistachios then are bumped over a served to knock off and determine its husks. The next machine pokes the pistachios with tiny needless. Pistachio shells have to be opened so people can get to the kernels inside. Close shell pistachios are rejected. Sometimes the needles miss bad pistachios but then these ladies help to catch the corporate that slipped through. For the domestic Iranian market pistachios are spread out in the sun. It takes about two days to dry them out. 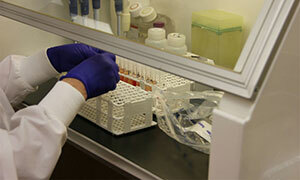 However global demand means some produces use some driers machines, which speed up the process to 20 minutes. Before pistachios can leave Iran they need entirely checked. Pistachios can be spoiled by a fungus, which produces poisons, which is called Aflatoxins. They believe to cause hygienic or cancer causing. Once pistachios are checked and stated as Aflatoxin free, then pistachios can be sent to packing department and will be ready to be sent anywhere in the world. 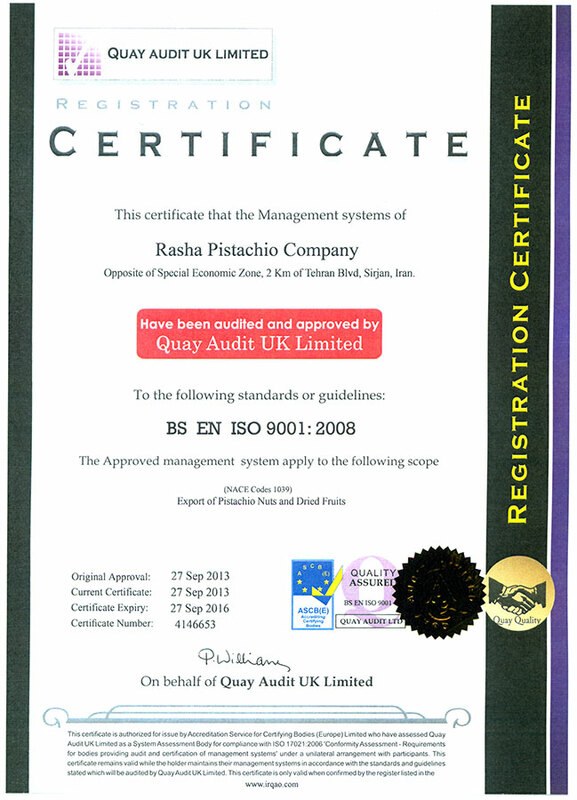 Rasha Pistachio Company (R.P.C) is focused on being a client-centric company, continuously ensuring that every process is carefully studied, to achieve a high-end result. All required testing are undergone in the laboratory in order to meet the requirements on the country of destination of the client, including Aflatoxin Certification. 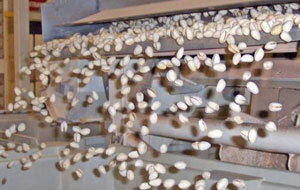 Maximum allowance for Moisture content: For raw dried pistachios: Maximum 5% free water content. Foreign material: Glass, metal and live insects are considered as completely prohibited foreign materials. Acceptable foreign materials are pistachio related debris such as hull, stems, shells and sand. As a grower and exporter of Iranian pistachios, Rasha Pistachio Company has been improving the problems, which Iranian pistachio producers have been facing over the past 20 years and they have been becoming as threats hence the problems and threats cannot be neglected. The first and main threat, for Iranian pistachio industry can be considered as the lack of modern irrigation and preservation system, as Iranian pistachio farms are going through a very bad drought patch and many of the reservoirs are quite depleted. Therefore, we have applied drip irrigation for our pistachio farms, which saves up to 30% of water. 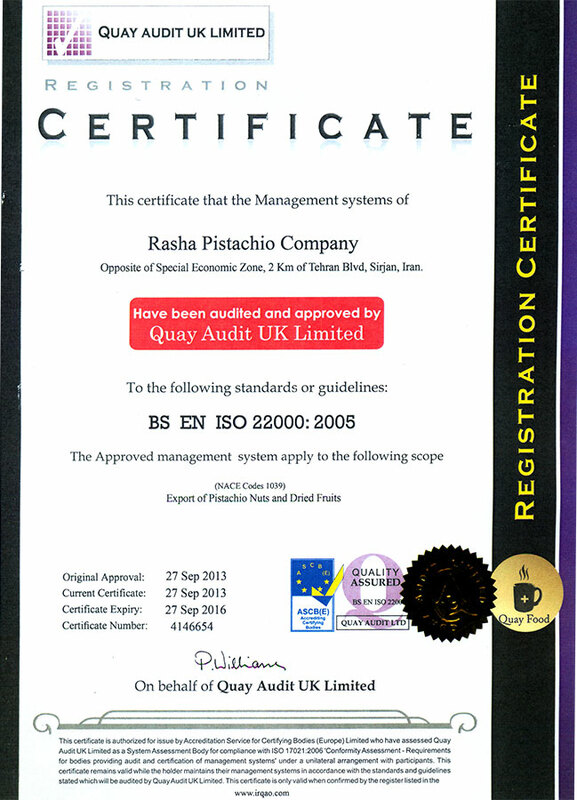 The second problem which Iranian pistachio industry faces, is lack of modern system in production and harvesting process has been pointed out as a defect in Iranian pistachio industry, hence Rasha Pistachio Company has modernized the processing and sorting machineries and we have been updating our system on a monthly basis. The third problem specifically belongs to Iranian pistachio exporters, which is the lack of marketing and indirect relation with international buyers. Rasha Pistachio Company has created some different platforms for the international buyers who want to have access to the decision makers and want to meet and discuss their concerns in person by having an office in Dubai, London and annually we participate in different exhibitions and trade shows around the world in order to meet and have reunions with the clients, as well as promoting Iranian pistachios and meeting new clients.